How are you? So it's August already can you believe it!? I can't. My birthday is next month and I can't wait. I always get super excited for my birthday once August hits LOL. This means it's almost time for back to school as well and that fall will be here at some point. 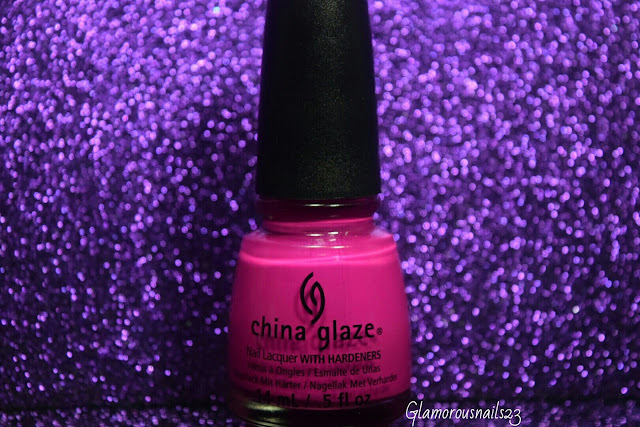 I will be sharing two China Glaze polishes with you. These polishes are Beach Cruise-R and Kiwi Cool-Ada. I actually used both these polishes as a base for some nail art which can be found here and here Let's get started! 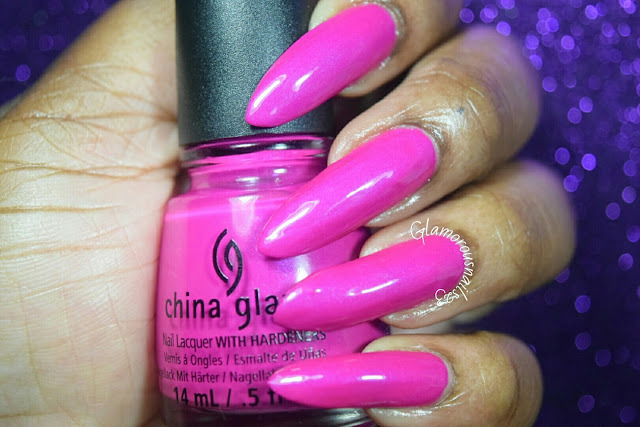 Beach Cruise-R is a medium fuchsia creme polish that has a soft subtle shimmer to it. This polish is actually part of the Summer Neon Collection 2012. The first coat for me was extremely sheer and a tad bit watery. With that being said it is a beautiful color that did dry fast and self levelled with three coats. At first I did one thin coat and then applied two thicker ones. Beach Cruise-R is a beautiful polish that glows bright hot pink! Shown in the photos are three coats with top coat. 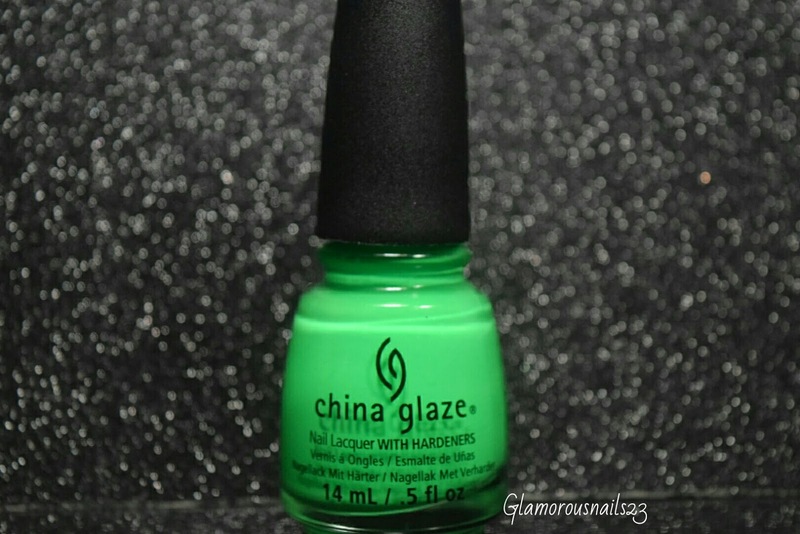 This pretty Kelly neon green creme polish is Kiwi Cool-Ada which is from the China Glaze Poolside Collection. The formula on Kiwi Cool-Ada was just like Beach Cruise-R but it did dry and self level nicely. 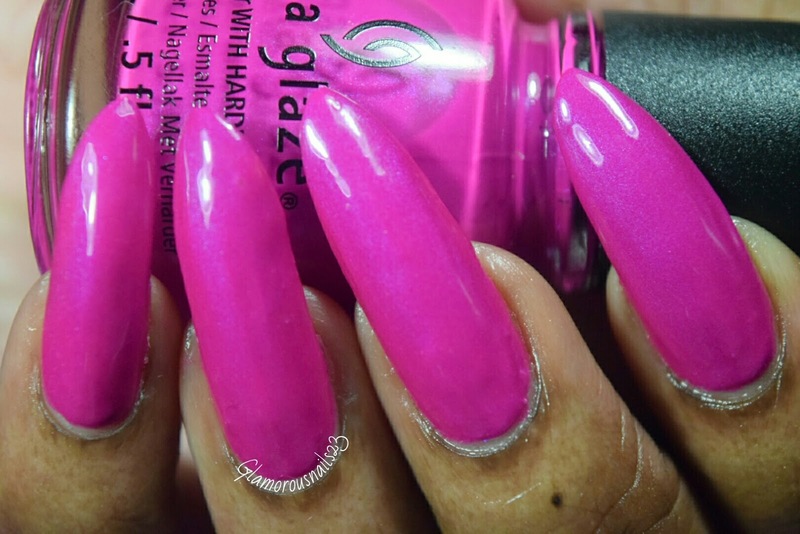 I used one thin coat at first and then two thicker ones to achieve full opacity. 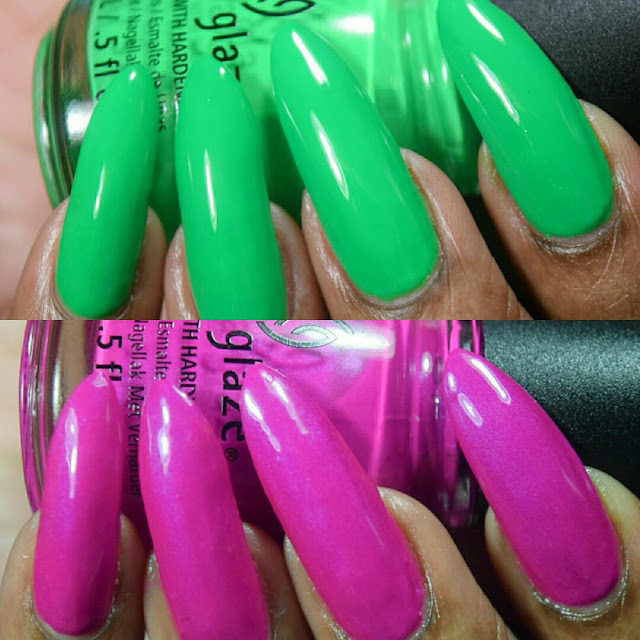 At first when I saw the color I was just like meh, but then once I got it onto the nail I just fell in love. 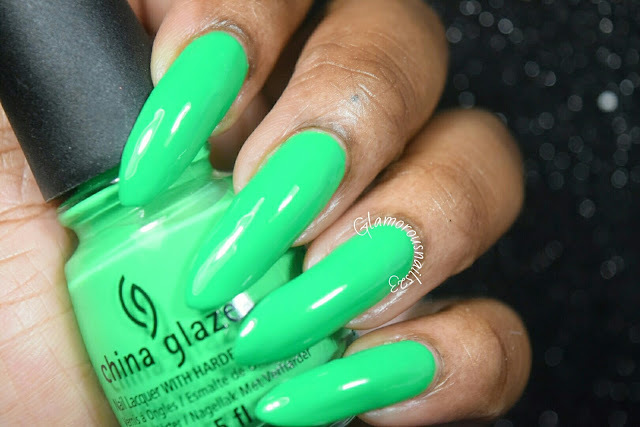 Just like any neon this polish does dry matte and you will need a glossy top coat to help give it that extra shine. Shown is three coats with a top coat. BTW this glows a really bright green! What do you think of Beach Cruise-R & Kiwi Cool-Ada? Do you own any of these? Do you own any of these collections? 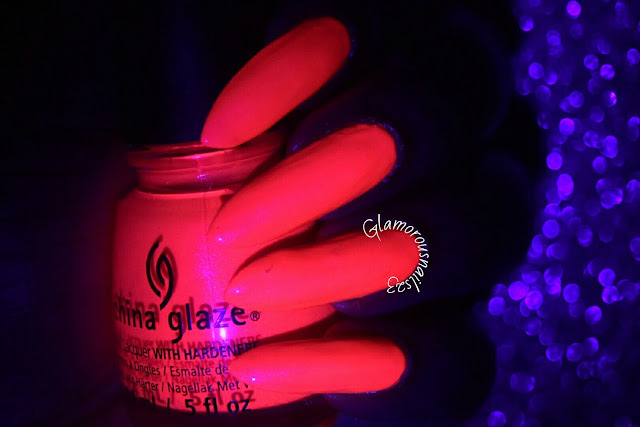 How do you feel about glow in the dark polishes? Let's chat polish down below! They both look great on you!!! So bright and fun! Thank you Marisa! They really are fun! 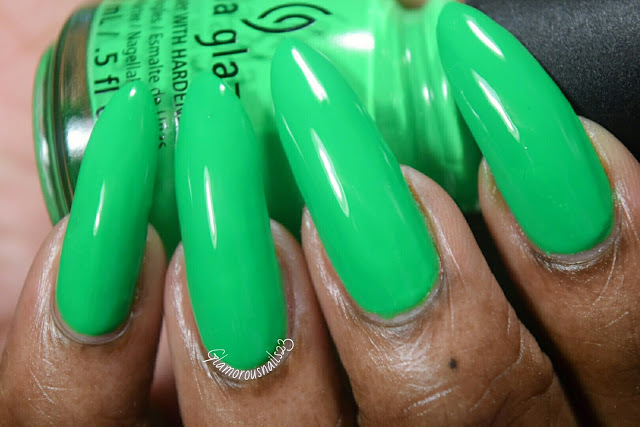 Kiwi Cool-Ada looks awesome on your long nails - I really love it! Thank you so much Fife!